Are you ready for 80 levels across 10 challenging tours with Joe Danger? Well get ready for the exciting release coming soon to OUYA! 80 levels across 10 challenging tours give hours and hours of play! Get a perfect run to win each level’s Pro Medal! Collect and play as 29 different characters! Play the Daily Challenge mode for a special new level to beat every day! *PLUS! * OUYA’s controller gives you a whole new way to play the game. Seriously, playing Joe Danger Touch with a controller feels completely different to using the original touchscreen design, and it’s even way different to the console versions. 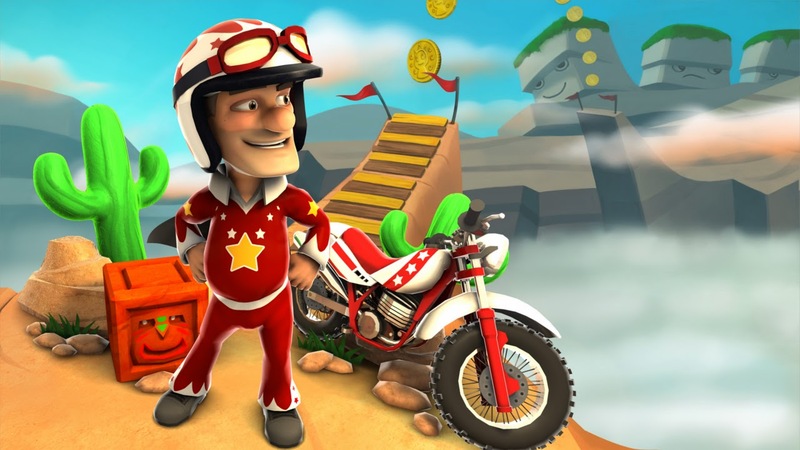 Touch is based on our Joe Danger games for consoles, but it’s not a port. We built the 80 super-colorful, challenging levels in Joe Danger for OUYA from the ground up. They’re playgrounds for pulling wheelies, collecting coins, performing stunts, and defeating alien overlords! Joe Danger on OUYA is all about console quality. For us that means beautiful 60 frames-a-second graphics, and lots of variety and color. We’ve also experimented with new modes, like Daily Challenges, where you get a new level every day for a week. Beat each level in the week, and you get to progress to a whole new week’s worth of levels. It’s been so great to finally bring Joe Danger to OUYA with the help of our friends at Sockmonkey Studios (www.sockmonkeystudios.co.uk). And guess what? It brings the number of formats Joe is on up to eight. Eight! We couldn’t have believed it when we got this thing started! For more information about Joe Danger, visit www.hellogames.org.